Click on above photo to view it in large format. During breeding season in the Galapagos Islands, the male blue-footed booby shows off his feet to prospective females during ritual mating dance. 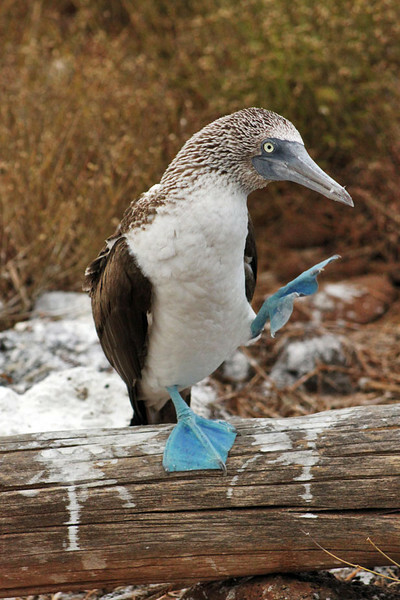 The Booby with bluest feet and the best dance gets the girl. The feet of the birds who are not successful in finding a mate row bluer over the ensuing year, which increases their potential for finding a mate the following season.